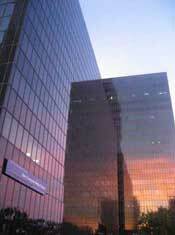 Our office is located in the Century City Medical Plaza. Patients are encouraged to visit Dr. Kinney by appointment. He is available to speak with you personally during your scheduled visit, and during this time, consultation fees are due. In addition to Dr. Kinney, we have a surgical technician, nurse, office manager and receptionist that may be able to help you with questions pertaining to insurance or minor medical issues. We look forward to serving you in any way we can. For out of town patients, several hotels are adjacent to the office. Century City Medical Plaza is conveniently located at the northeast corner of Century Park East and Olympic Blvd. 2 miles east of San Diego Freeway.